We are kindly inviting you to submit an abstract for the international conference dealing with the topic of criminalization of migration which will focus on understanding the causes and consequences of the phenomenon of criminalization of migration in the EU and wider. BACKGROUND │ The 2015-2016 ‘refugee crisis’ and the on-going arrivals of people seeking protection and better life to the EU triggered a number of changes in the states’ legislative and policy approaches to migration. 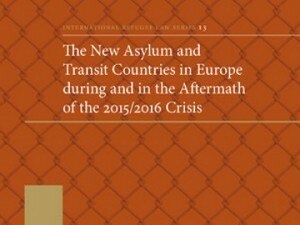 A number of EU member states and EU candidate and prospective candidate countries, including those that have traditionally been more welcoming or less burdened with migration questions, introduced new legal restrictions and established new institutions aimed at surveillance, control and deterrence of the people on the move. 2016 was the year when the largest ever number of refugee statuses were granted by the European Union Member States. At the same time, the trend of attributing of factual or alleged responsibility for crimes to migrants and refugees is increasing. In the quest for interpretation of developments surrounding us the inability of the public to digest the vast amount of information leads to simplification and portrayal of migrants and refugees as dangerous. The welcome culture is increasingly seen as naïve, and assistance to migrants is more and more often subject to administrative or criminal punishment. At the same time, nondemocratic trends and practices against human rights and equality within the EU are gaining importance and strength, and phenomena such as racism, xenophobia and anti-Semitism are becoming more and more open and public. They are no longer reserved only to clandestine platforms but are increasingly mainstreamed into political programmes of parties that are entering both the member states and EU parliaments. Such transformations in European societies, governments and institutions seem to show an increasing amnesia about the lessons of the two European and world wars in the 20th century. THE AIM OF THE CONFERENCE │ The conference will address above all the question of the causes and the consequences of criminalisation of migration both in the EU and worldwide. We want to tackle the direct causes of these transformations as well as rethink the broader political and socio-historic framework of ongoing trends of criminalisation of migration. Particular interest is to address the relationship between criminalization of migration and equality, racism and xenophobia. The main questions are: How are these transformations taking place? What examples from law, politics and society confirm or refute these processes? Which theoretical frameworks enable their understanding? What can we expect in the future regarding criminalization of migration – is it going to strengthen or wind-down? What is the factual and possible role of the European integration(institutions, processes of enlargement, law and legislative harmonization) in criminalization of migration? Abstracts of papers are welcome from the fields of law, criminology, political science and sociology as well as interdisciplinary papers. They can cover cases from several regions such as Western Balkans, Middle East, or the EU and its member states. The conference will be open to the public and will be scheduled in the way that allows time for more substantial debates about commonly identified important issues. PRACTICAL INFORMATION │ The participants whose abstracts will be selected for the conference will be invited to arrive to Ljubljana on Wednesday 16 May and depart on Friday 18 May. Lunch on both conference days and dinner on the first conference day will be provided by the conference organizer. There is no registration fee. The selected participants are asked to cover their own accommodation and travel costs. The conference organizer can provide a stipend for travel costs up to 350 EUR and for accommodation costs in the City Hotel for a limited number of participants who will apply for a stipend. https://www.1ka.si/a/148795 by 31 January 2018. At the end of the online tool click “pošlji” (submit). We are available for any questions you might have. 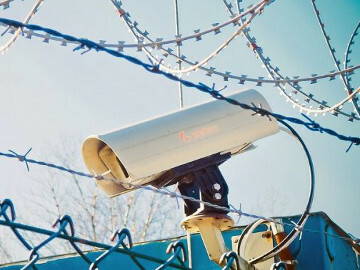 The conference is part of the project “Crimmigration between Human Rights and Surveillance, ID J5-7121” which is carried out by Peace Institute and Institute of Criminology at the Faculty of Law, Ljubljana. 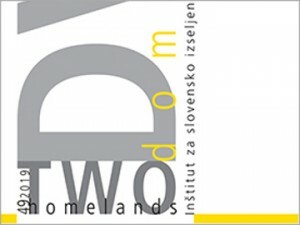 The project is financially supported by the Slovenian Research Agency.